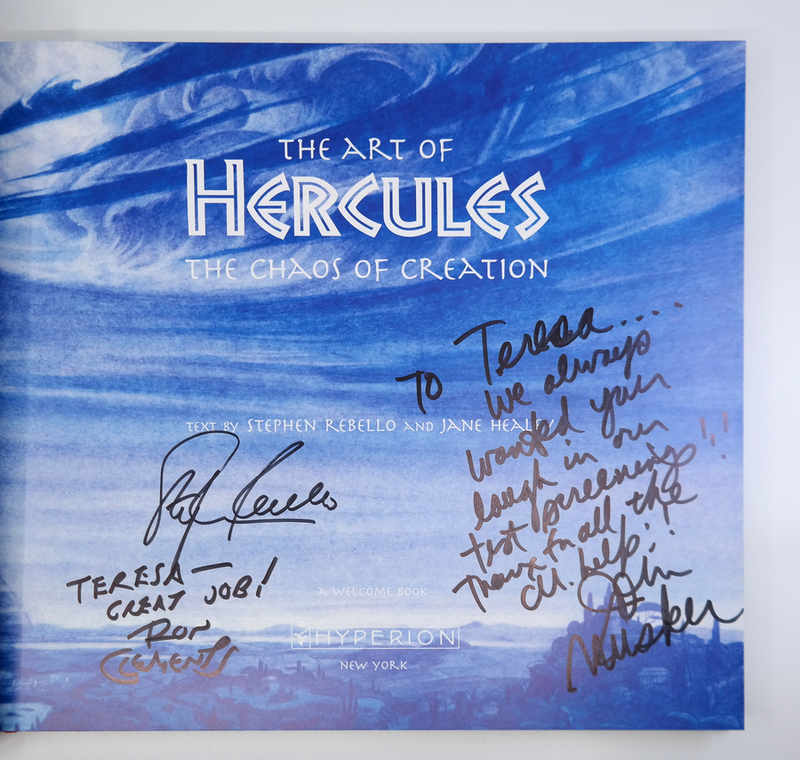 This is a signed copy of the out-of-print book "The Art of Hercules: The Chaos of Creation", which showcases the art created during the production of the Walt Disney Studios feature film Hercules (1997). 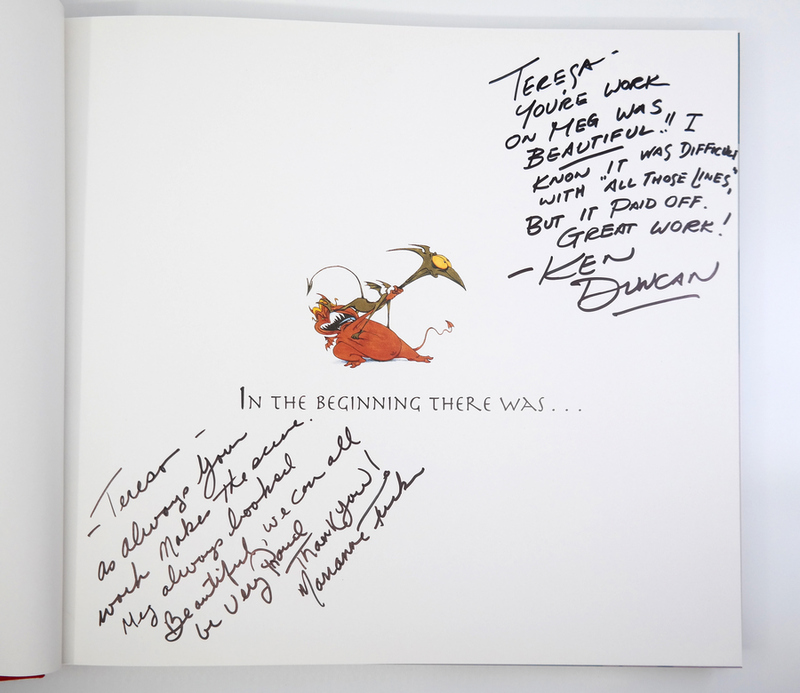 The book, written by Stephen Rebello and Jae Healey, is 192 pages long and has been signed by Ron Clements, John Musker, Ken Duncan (the animator of Meg), and Marianne Tucker. 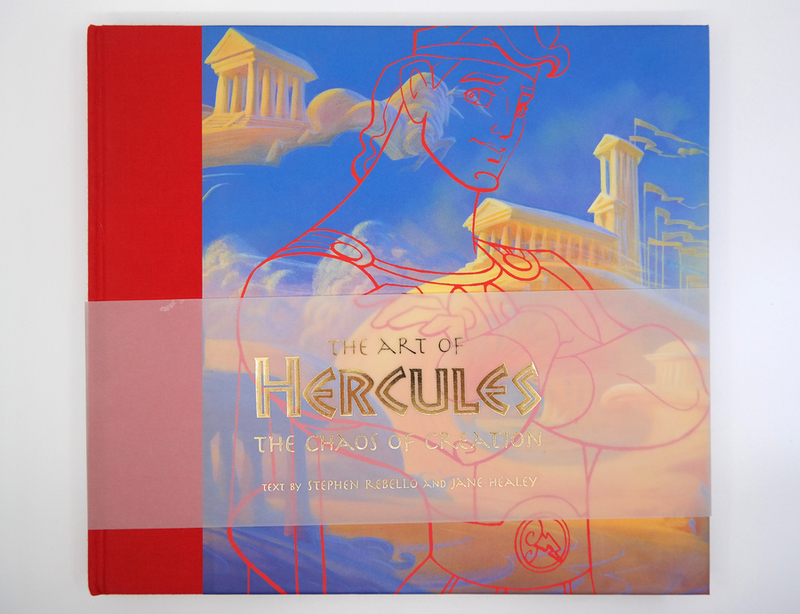 The book measures 11.25" x 12" and is in excellent condition with very light handling wear.